The Mobile World Congress 2011 (MWC 2011) has recorded much success, marking the release of a number of gadgets. 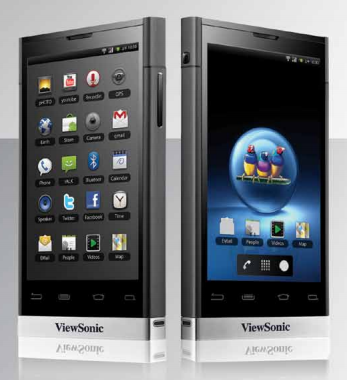 ViewSonic unveiled the much awaited ViewPad 4, a device which they’re adamant to classify it as a smartphone or tablet. I have been always confused on how to differentiate a tablet from a smartphone, would it be the screen size or the features? The ViewsPad 4 has a screen size of a 4-inch, which draws the line in order to identify the gadget. Moreover, the ViewPad 4 would be running the newest version of Android Operating System, the Gingerbread. Although showcased in Barcelona, the ViewPad 4 will be shown the way to carriers in late April 2011 and ready for release in early May. The ViewPad 4 is proudly to join the 7-inch and 10-inch Android devices which is expected to run Android 2.3 Gingerbread. Currently listed on the company’s website, the gadget includes the Android 2.2 but the hardware-maker promises an update to Gingerbread.